This is the first movie I ever watched with Bela Lugosi in it. And one of my favorite versions of Dracula. I think Bela Lugosi does an outstanding job in the title role. What with this movie being over 75 years old... I wasn't expecting much from the audio and video on this release. But I must admit I was pleasantly surprised. Though I did have to turn the volume up on my surround sound a little... the quality was impressing. There was some noticeable dust on the video... but nothing that bad at all. It was a very good presentation... and the DVD gives us a nice collection of extras. though I only watched the Theatrical Trailer so far... I like to watch those before the movie to help me get in the mood for what I am about to watch. At midnight on Walpurgis Night, an English clerk, Renfield, arrives at Count Dracula's castle in the Carpathian Mountains. After signing papers to take over a ruined abbey near London, Dracula drives Renfield mad and commands obedience. Renfield escorts the boxed count on a death ship to London. From there, the Count is introduced into the society of his neighbor, Dr. Seward, who runs an asylum. Dracula makes short work of family friend, Lucia Weston, then begins his assault on Eva Seward, the doctor's daughter. A visiting expert in the occult, Van Helsing, recognizes Dracula for who he is, and there begins a battle for Eva's body and soul. This Spanish-language version was filmed on the same sets and at the same time as the English-language, Bela Lugosi version. The English-language version was filmed during the day, and the Spanish-language version was filmed at night. In this version the role of Count Dracula was played by Carlos Villar. I liked him as Dracula... he did a good job... giving the same feel as Bela Lugosi did. This version is also quite a bit longer then the English version. I did have little trouble keeping up with the subtitles (I am a slow reader)... but I was able to manage enough for it to keep my interest. The quality was a little lower then the English version... but not enough to take away from the enjoyment of the movie. And this would be the first thing I ever seen Boris Karloff in. Another really good classic monster movie. I enjoyed every moment of it.The audio/video is in very good condition... especially considering the age of the movie. Another one that has a nice collection of extras with it... even though I only watched the Theatrical Trailer so far. Watching one from my other boxset now. This movie isn't bad... but in my opinion it just don't live up to some of the other classic horror monsters like Dracula, Frankenstein & The Wolf Man. I do enjoy it enough that I am glad it is in my collection... and will watch it on other occasions... just not as often as the other three mentioned. The Audio and Video on this release is very good. A crisp and clear picture and sound. Hardly no dust on the film at all this time. Quality wise I am very impressed. this release also has a nice collection of extras... though I once again only watched the trailer for this viewing. I only watched this movie one time before. when I first bought the other classic monster movie set... which has been several years ago. So watching this one today was like watching it again for the first time. Now this one I did enjoy quite a bit. I enjoyed the stories and liked the old time special effects. Though I do admit that once or twice I did notice a very slight outline of the Invisible Man's head. The quality of this one wasn't quite as good as it was on The Mummy video was... but the audio was great. Unfortunately the video on this one had quite a bit of dust as well as a few scratches. Of course with a movie this old that is easily forgiven. But I was very disappointed to realize there was no Theatrical Trailer for it to watch before the movie. 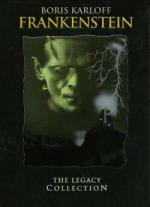 One of the most popular horror classics of all time and an acclaimed sequel to the original 'Frankenstein'. The legendary Boris Karloff reprises his role as the screen's most misunderstood monster who now longs for a mate of his own. Colin Clive is back as the overly ambitious Dr. Frankenstein, who creates the ill-fated bride (Elsa Lanchester). This is one of the titles that is in the other classic monster movie boxset I have. But for some reason I never watched this movie before today. After watching it today... I am sorry I haven't watched it sooner. It was a well done sequel that I enjoyed very much. No complaints what so ever quality wise. There was a modest collection of extras for it. But once again all I watched so far is the trailer. It was a well done sequel that I enjoyed very much. Not just a well done sequel, but one of the very rare case where the sequel is better than the original. This is my favourite from the Universal classic movie that I've seen, it's just sad that the Frankenstein franchise had gone worst and worst after this great movie. It's just sad that the Frankenstein franchise had gone worst and worst after this great movie. There's one more that is really good after Bride: Young! well at least I know not to expect as much from this point on... Thanks Jimmy. hmmmm... better then Frankenstein.... I really didn't think about it. But you could be right. No sorry necessary. I really appreciate you letting me know... now I won't go into it with too high of hopes. Not that I will necessarily not enjoy it... but it helps knowing that they aren't quite as good as the ones before. It's a long time since I saw it, but Bride is generally regarded as a masterpiece. Frankenstein was already very good indeed, but Bride is a milestone in horror. Despite warnings that the region is dangerous, botanist Wilfred Glendon (Henry Hull) travels to Tibet in search of the “Marifasa Lupina,” a rare flower which blooms only in moonlight. Back in London, Glendon is visited by the enigmatic Dr. Yogami (Warner Oland), who tells him that a current rash of murders is the work of two werewolves. Yogami also claims that the only antidote is the blooming Marifasa flower, which keeps the werewolves from harming the ones they love. Glendon scoffs at Yogami’s stories, until the next full moon! I have a bit of mixed feelings on this one. Even though I enjoyed the story very much... there was a few things here that I didn't care for. The first thing I noticed was while the werewolf makeup was pretty cool looking... it wasn't as good as the makeup in The Wolf Man. Of course this movie is 6 years earlier then the more famous The Wolf Man. Another thing that just rubbed me the wrong way is after the first time of become the werewolf... he goes to leave on the hunt.... but before leaving takes the time to stop and put on his hat, jacket and scarf. That just didn't make any sense to me at all. The quality on this movie is very good especially for how old the movie is. There was however one minor problem with the audio. Throughout the first half of the movie we had nice loud, crisp and clear sound. Then at about the half way point the sound level dropped... even though still crisp and clear it was only about half the volume. Like I said... minor problem and it didn't stop me from enjoying the movie. There is 2 extras attached with this movie. 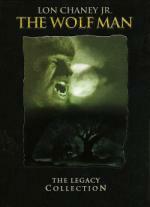 A featurette for the classic universal werewolf movies and the trailer for this movie. So far I only watched the trailer. Picking up where Dracula left off, Dr. Von Helsing (Edward Van Sloan), thinking he has rid London of all vampires, is instead arrested for murder. Meanwhile, the beautiful and mysterious Countess Marya Zaleska (Gloria Holden) appears in London seeking the understanding Dr. Garth (Otto Kruger), Von Helsing's psychiatrist. A mysterious sequence of events leads Von Helsing and Garth to set off to Transylvania after the elusive countess and to rescue Garth's beautiful fiancée (Marguerite Churchill). This is the first time I ever seen this movie. I really enjoyed it.The quality... both audio and video... was very good. I have no complaints on this movie what so ever. Of course before the movie I watched the Theatrical Trailer... as always. This movie is the oldest I ever seen where it was about a female vampire. I really enjoyed Gloria Holden as Dracula's Daughter... but I have to admit I really liked this girl that was only in a small part of the movie as one of her victims... a girl named Nan Grey... she was a very attractive girl... with a sweetness about her that she actually left an impression with such a small part. Unfortunately this is the only movie I have with her in my collection... though I may look into what else she has done later.